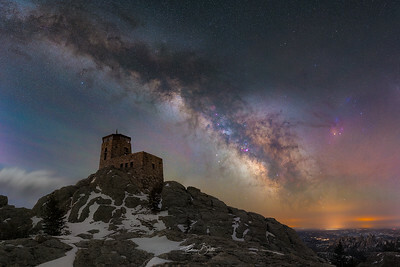 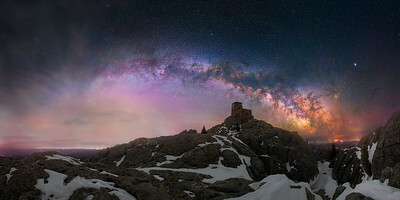 Panoramic Milky Way from Black Elk Peak. 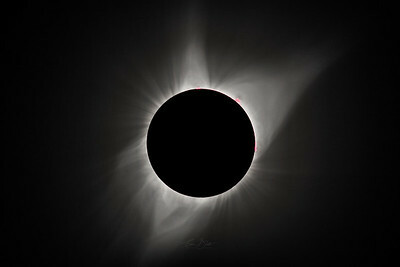 A view of Totality as seen from Casper, Wyoming on Aug 21, 2017. 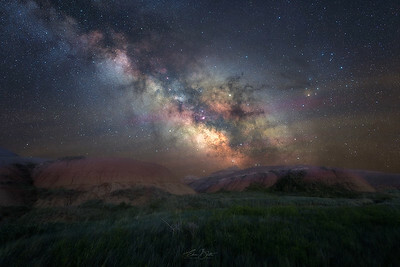 Textures in soil and the sky. 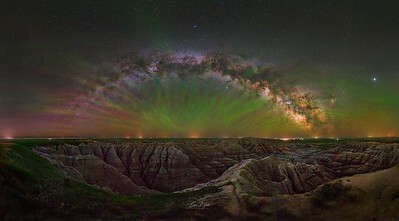 A night spectacle from the Badlands. 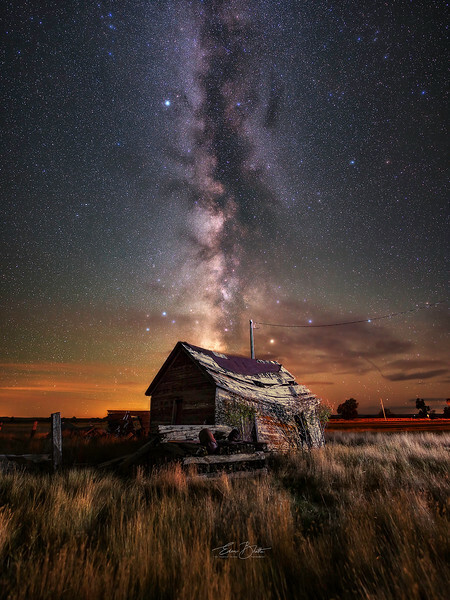 A puffing array of stars floating above an old abandoned home at a ghost town of Ardmore, South Dakota. 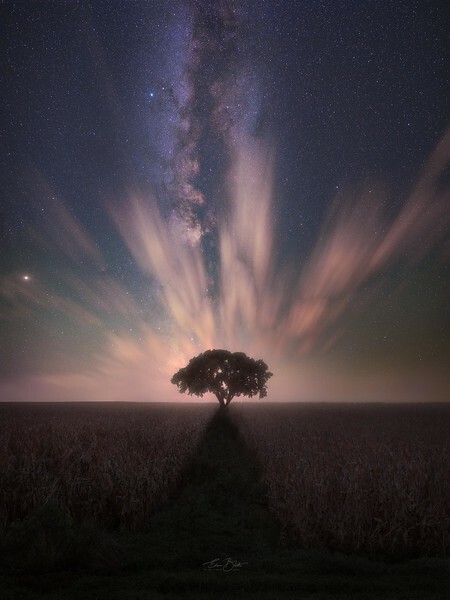 A stark silhouette of some good old star-loving humans under Antares. 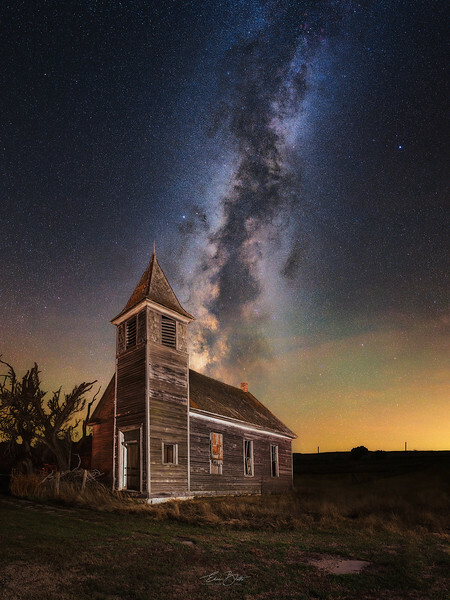 An iconic barn of Western South Dakota in a light hodgepodge. 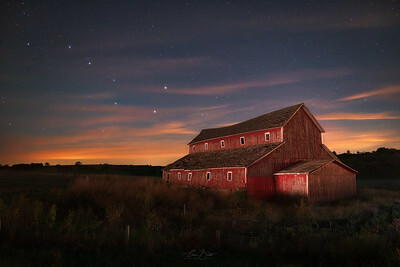 LED lamp lighting the barn from inside, city lights on the horizon, moon and the distant stars in the Milky Way. 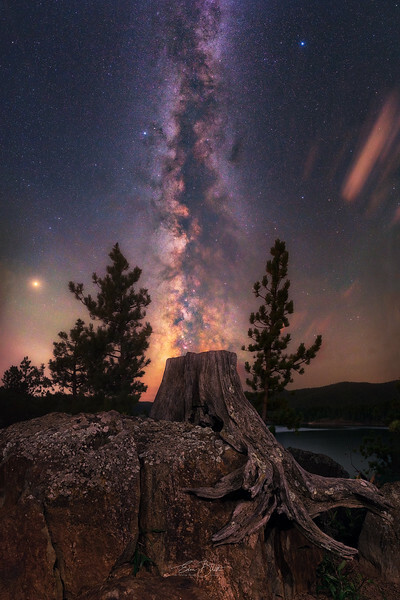 Textures in Soil, Textures in the Sky. 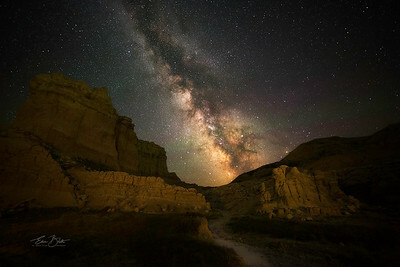 Charm of Badlands Night Sky. 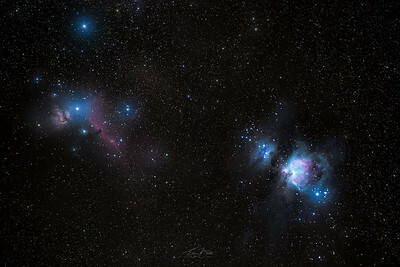 The Great Orion Nebula and surrounding regions in the Heart of the Orion Constellation. 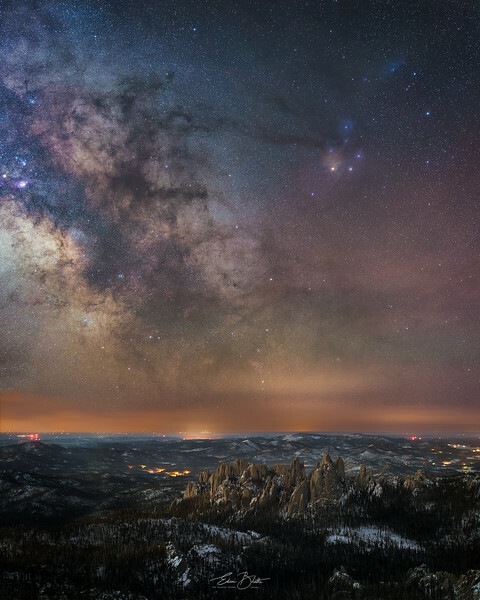 An incredible Light display in the Black Hills. 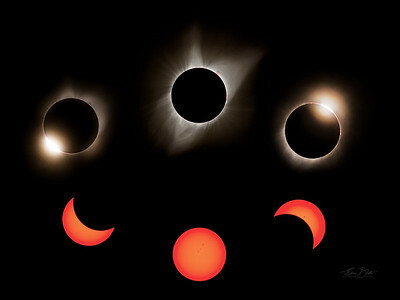 One of the intense spectacle in recent years for this region. 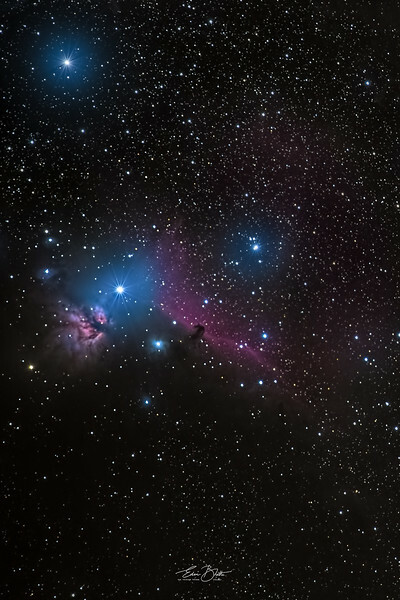 The Horsehead and The Flame Nebula. 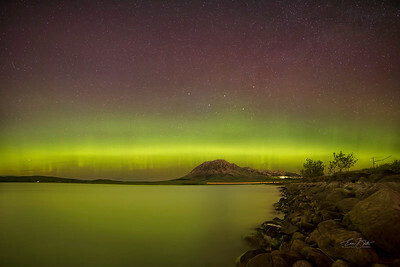 Shimmering Light over Slim Buttes. 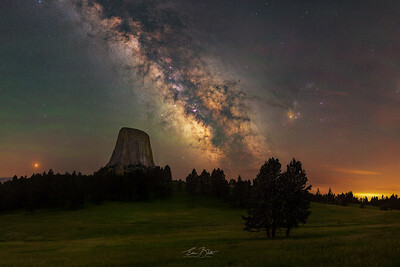 Milky Way over Castle National Landmark, Slim Buttes, South Dakota. 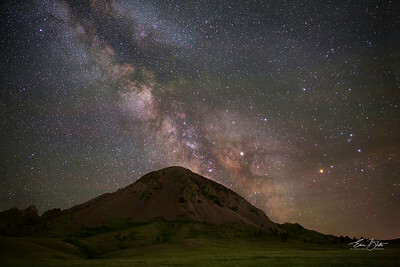 The Glow of our Galaxy on top of a Slim Butte. 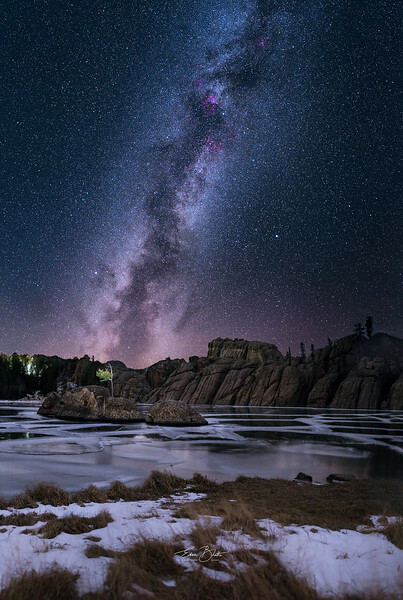 Pictured at Slim Buttes, South Dakota. 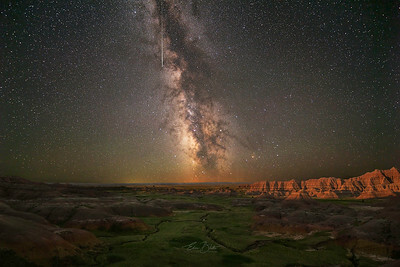 A panoramic stitch of Milky Way shot at Badlands. 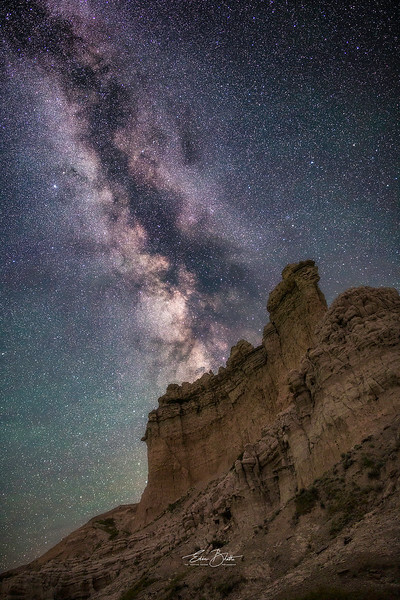 A Perseid meteor kisses the milky way goodbye, quite a romantic and spectacular night at the Badlands during the Perseid meteor shower 2018. 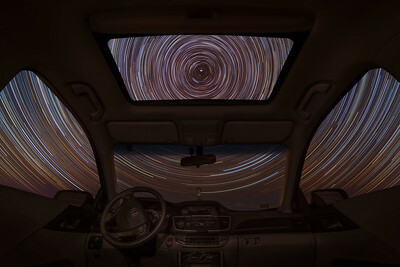 Star Trails from inside a vehicle. 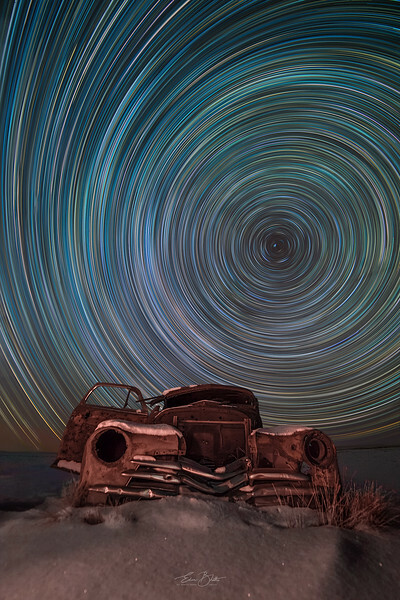 A creative take on this 2-n-half hour long star trail. 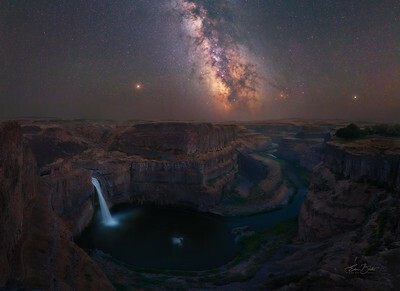 Clothed in diamond she stands tall, Watching the Missouri she shows courage and wisdom for all. 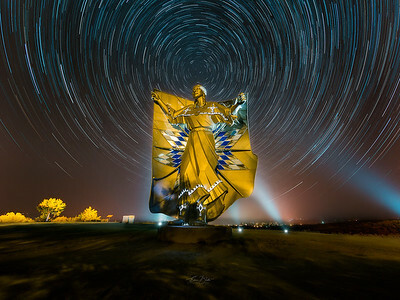 A beautiful combination of art and history - the "Dignity" statue portrays a Native American woman in Plains-style clothing giving out positive vibes with her peaceful presence. 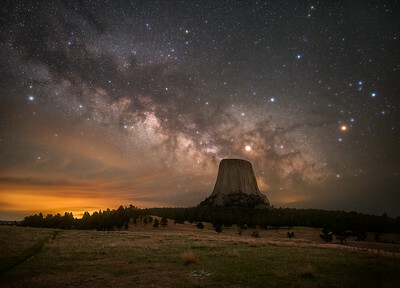 I love how the backlighting forms a tepee shape structure. 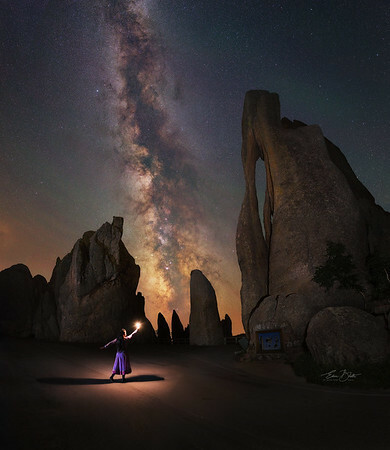 She sports a star quilt on her back so thought a photo with a starry background would be so fitting. 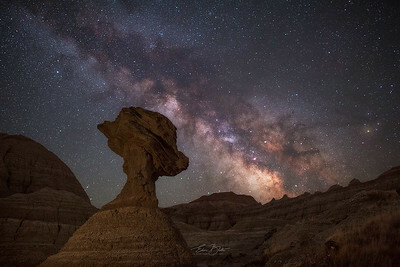 Mother Cassiopeia just above keeps a keen eye on her. 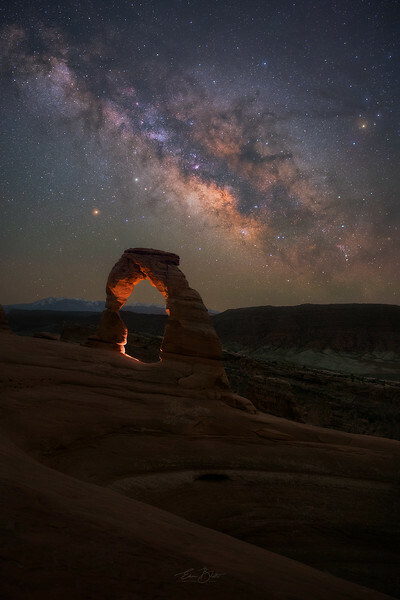 The crown jewel of our Milky Way - Rho Ophiuchi cloud complex. 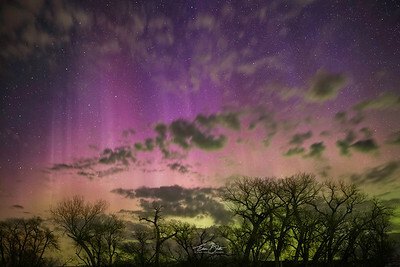 The dark skies of South Dakota reveals such a colorful night sky, just makes you fall in love with it all over again. 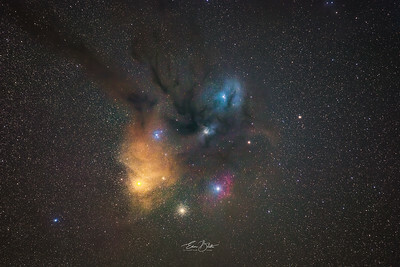 The Rho Ophiuchi Cloud Complex has one of the most vibrant and colorful nebulas in space. 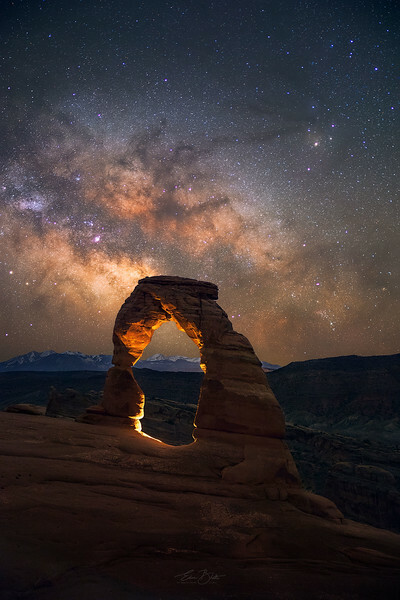 There were few people around playing with their cameras photographing the milky way, but then this couple just sat there without any cameras and enjoyed the sight of this dark Utah night sky filled with glittering stars. 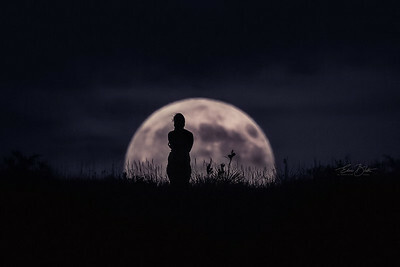 Made me realize that sometimes we fiddle around with our cameras too much that we forget to enjoy the moment with our eyes. 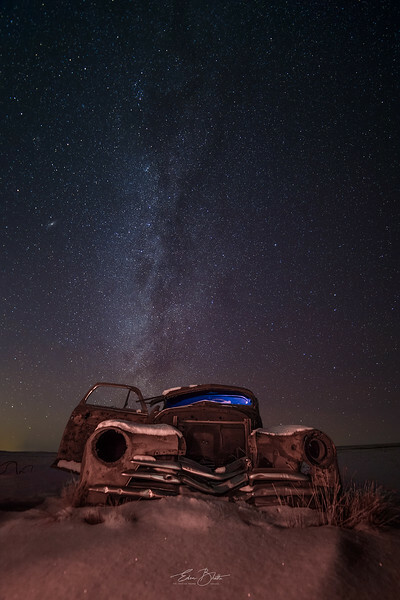 An Abandoned Car under a beautiful Star Light. 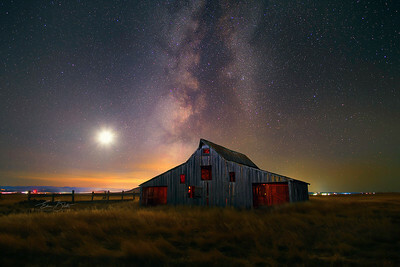 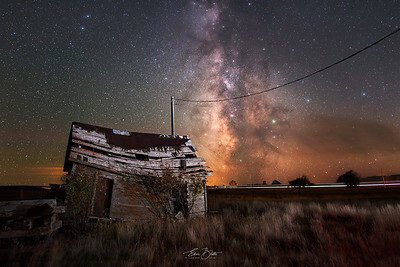 An Abandoned barn, Moon and the Milky Way in an eerie harmony. 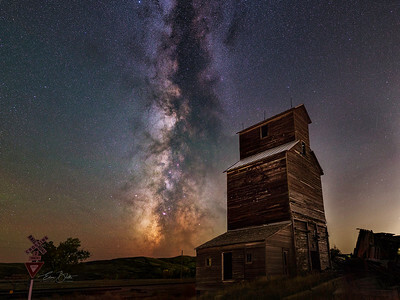 An Abandoned Grain Elevator in a township of Owanka, South Dakota. 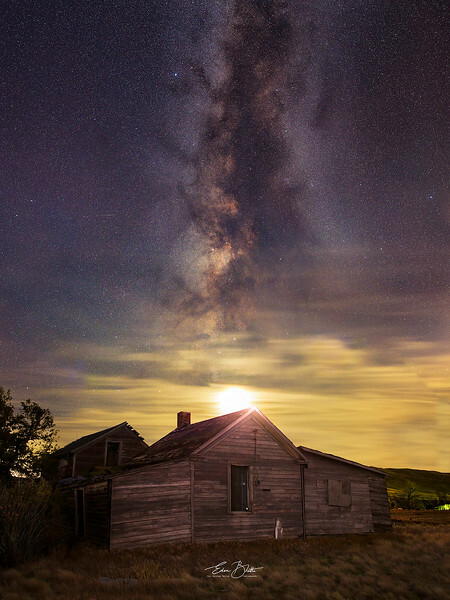 An abandoned home in ghost town on Ardmore, South Dakota. 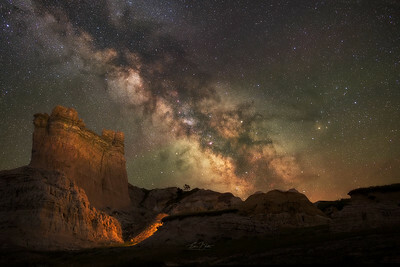 The radiant glow of Badlands Night Sky. 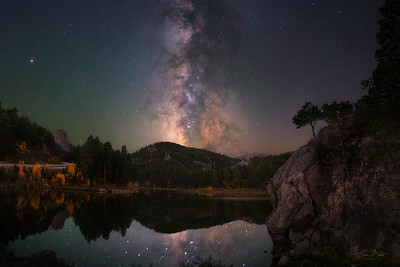 This was how I celebrated my birthday, under a billion star hotel. 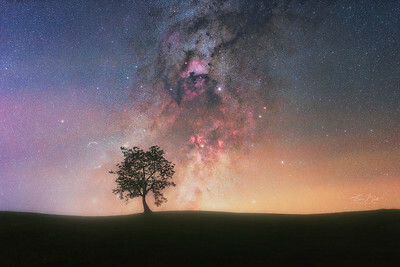 Off to peace and solace, and closer with our stars. 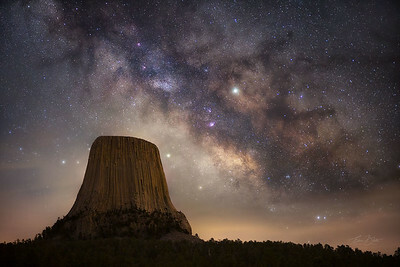 What better way to celebrate the day that you came into this earth!! 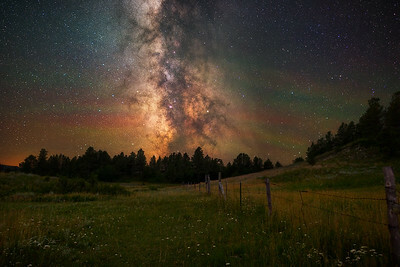 The Blessed land among the Stars. 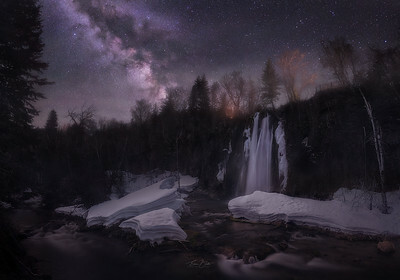 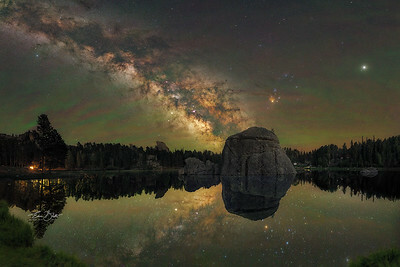 Forget about your day, under the Milky Way. 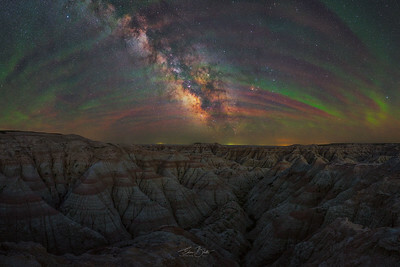 Was lucky to catch a hint of Green-Red Airglow. 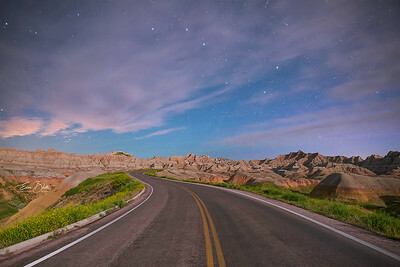 The Good in the Badlands. 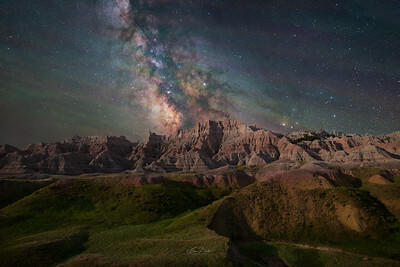 The magic spell of Badlands Nightscape. 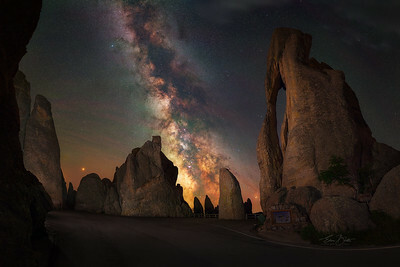 Half the park is after dark. 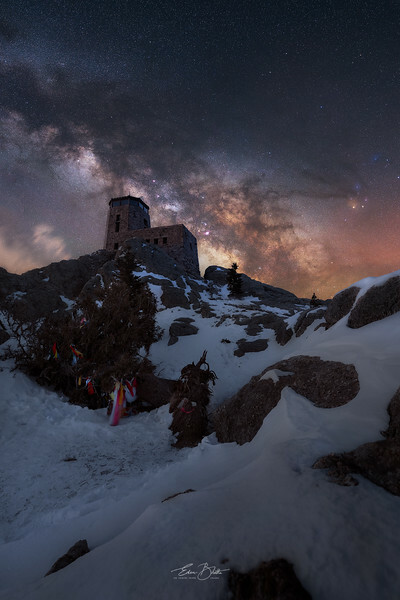 Starry backdrop of a castle. 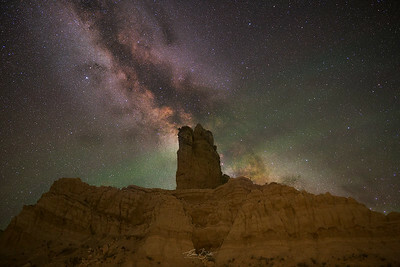 Milky Way over The Castles, Slim Butte Area, South Dakota. 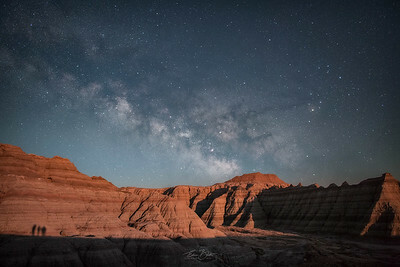 The setting Moon lights the Badlands landscape while the Milky Way rises on the backdrop. 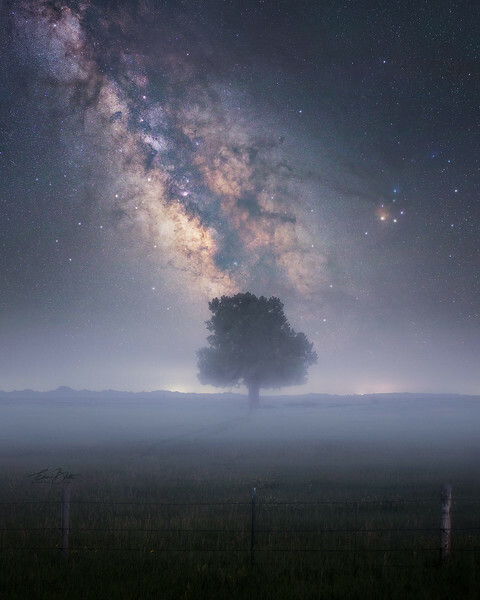 Our beautiful neighbor. 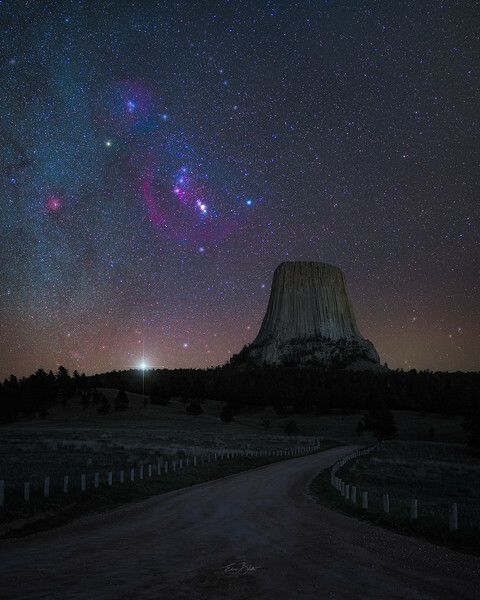 It is the closest large galaxy from us and is one of a few galaxies that can be seen unaided from the Earth. 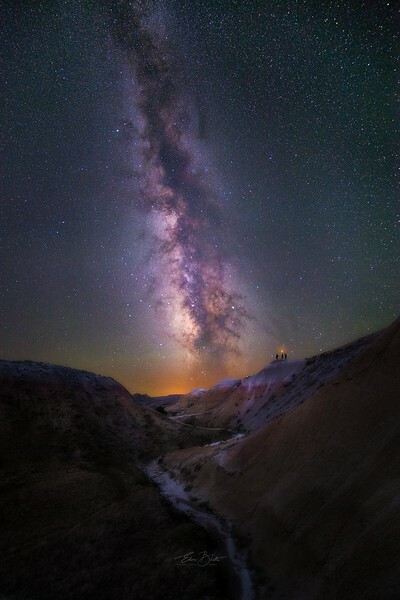 Picture taken from Badlands National Park, South Dakota. 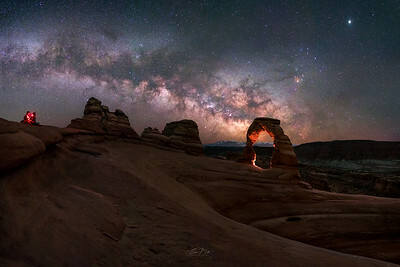 Milky Way over the iconic Delicate Arch, Utah. 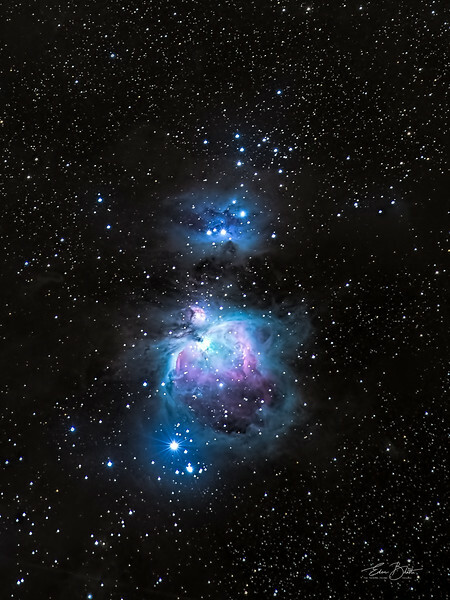 The Great Orion Nebula and the Running Man. 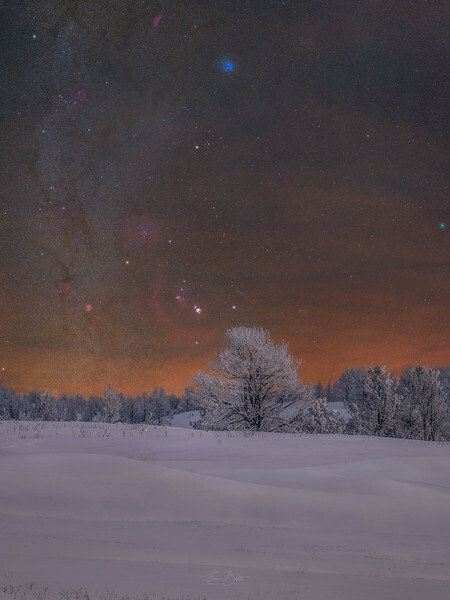 No praise is too high for the Great Orion Nebula, one of the grandest beauties of the winter night sky. 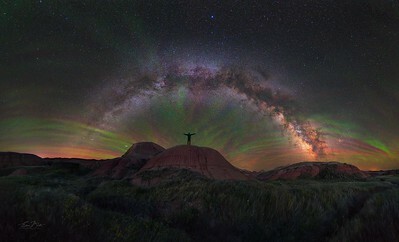 Dignity – Of Earth and Sky. 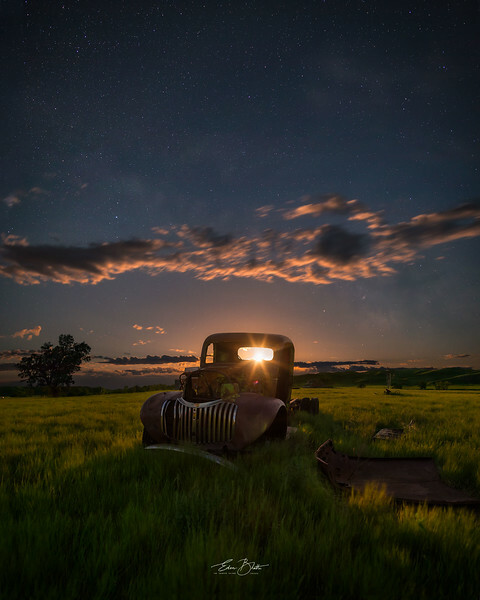 A beautiful combination of art and history overlooking the Missouri River near Chamberlain, South Dakota. 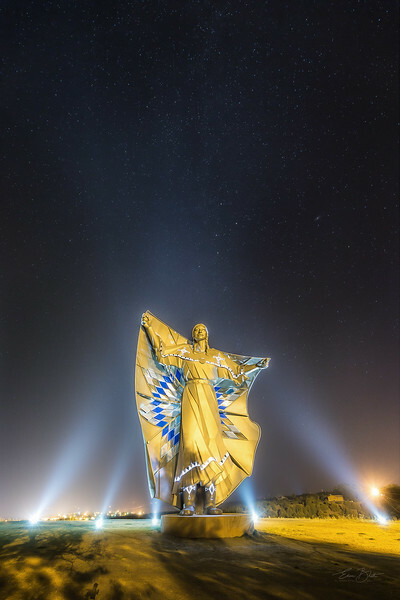 The dignity statue depicts a Native American woman in Plains-style clothing laying a peaceful presence. 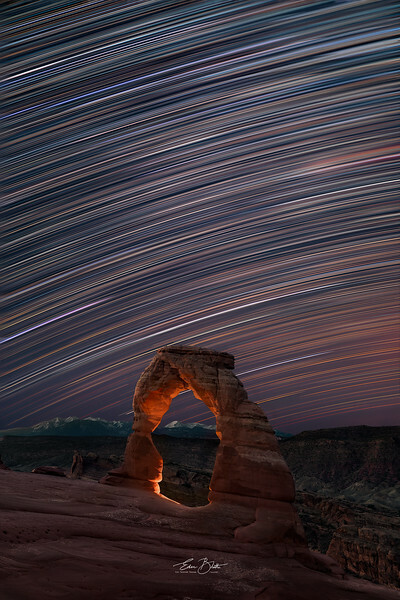 She sports a star quilt on her back so I thought taking a photo with star trails behind her would be so fitting. 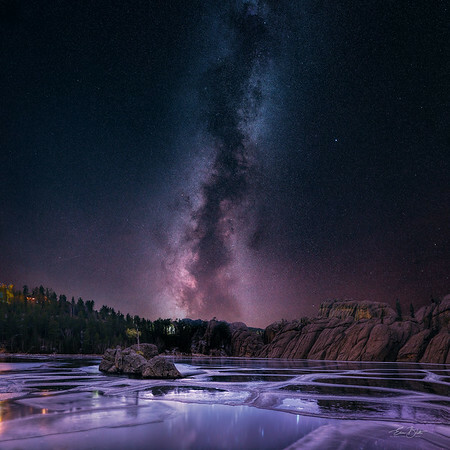 Autumn Rapid City and the Night Sky. 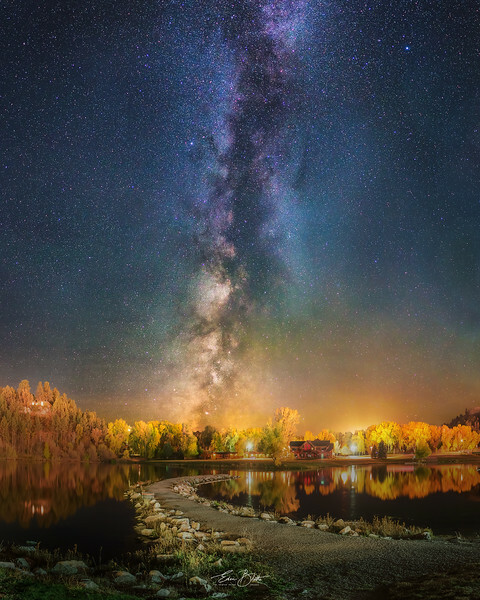 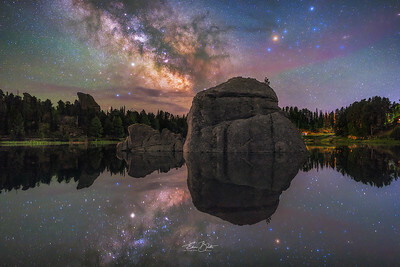 Canyon Lake Park in Fall colors and a shimmering milky way atop. 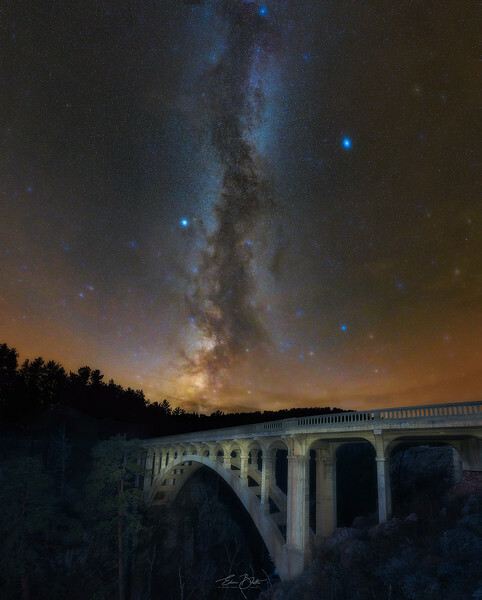 This was such a hard shot to pull off coz of light pollution around and all the lamp posts in the park creating flares in the image. 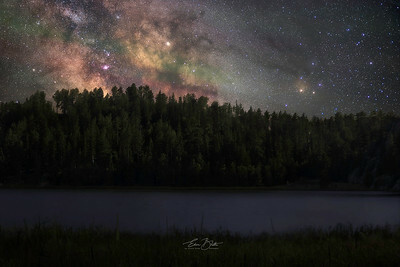 Taken with a help of a intensifier filter to cut down some of the light pollution. 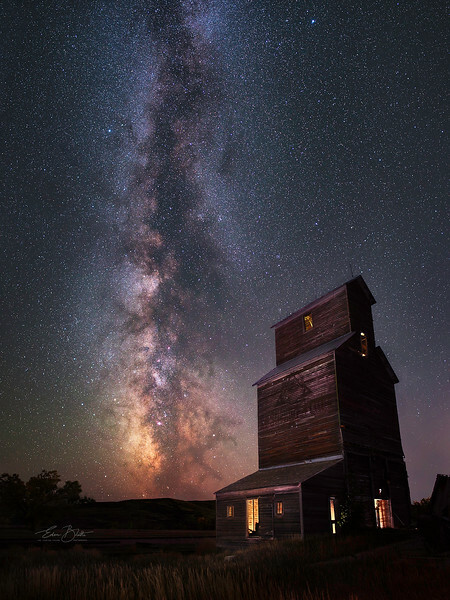 A skeleton of a grain elevator, once a thriving business in a small town of Owanka, South Dakota, still holds its ground. 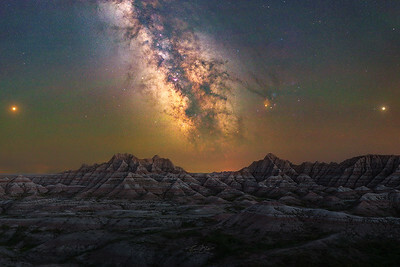 Colorful Badlands under the Milky Way. 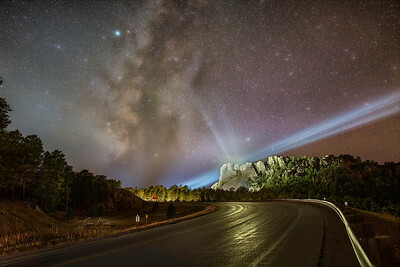 A friend of mine once said to me that South Dakota doesn’t have a nightlife. 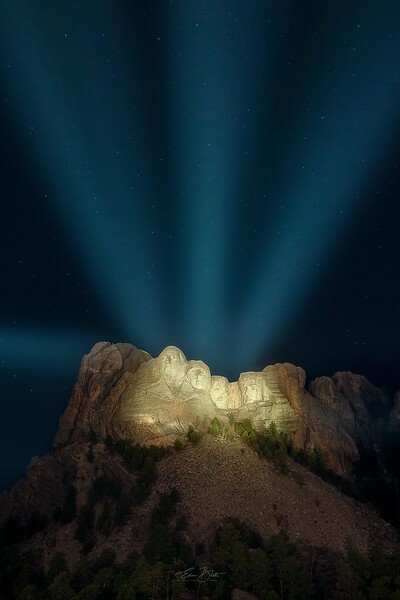 Well…I beg to differ. 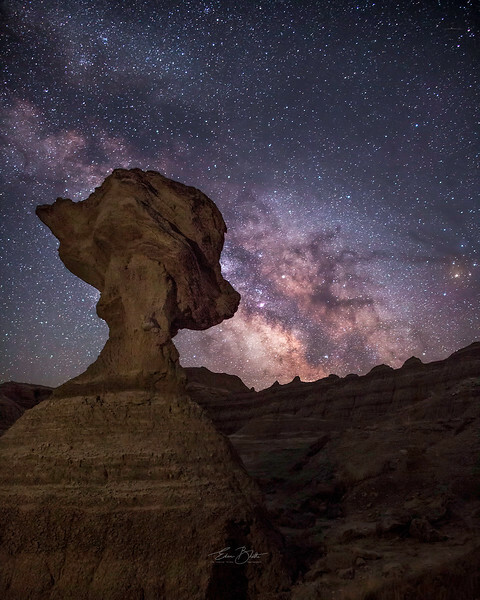 It gets insanely beautiful around here. 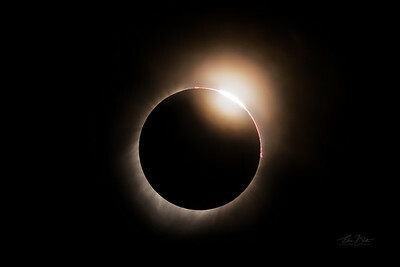 Sun rays peeking through seconds after totality. 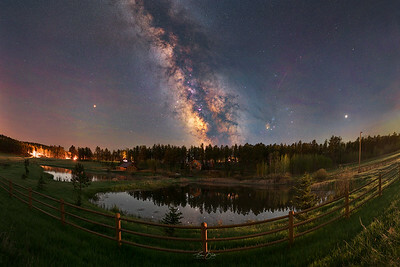 Looking towards the centre of our Galaxy. 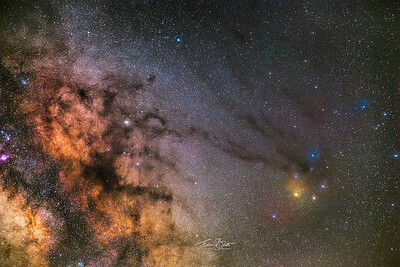 The dark horse nebula and the Rho Ophiuchi cloud complex make a distinct feature among the vast sea of stars and dust. 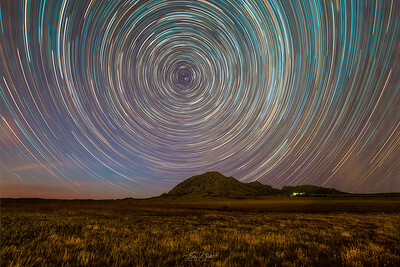 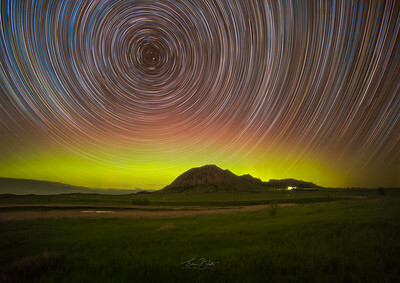 Star Trails over Bear Butte. 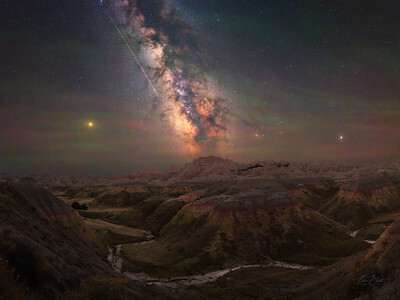 The Irresistible Beauty of Badlands National Park. 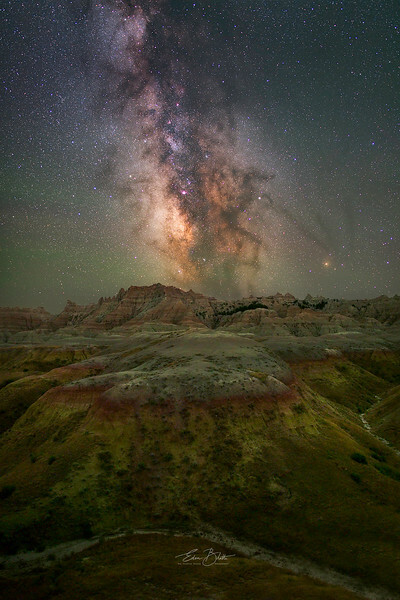 The magic spell of Moonlit Badlands Nightscape. 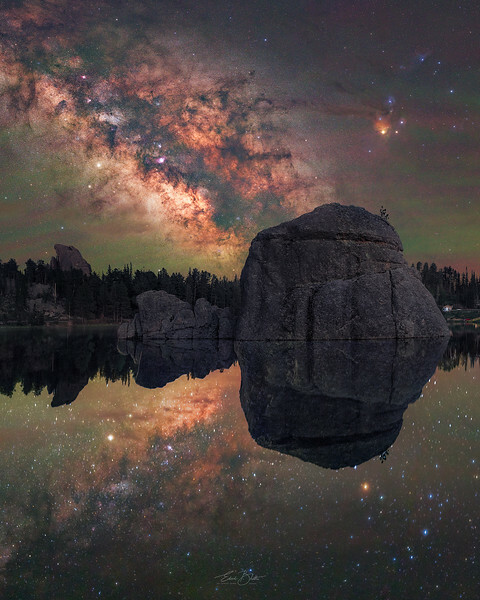 Half the park is after dark. 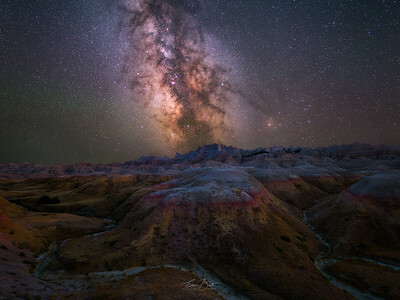 The colorful badlands terrain lit by a rising moon. 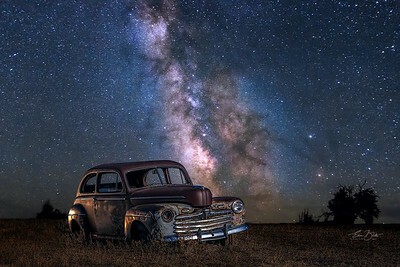 An old, abandoned car makes a spectacular subject for a star studded night sky photograph.